The Inflatable Standup Board (ISUP) is one of the hottest new water activities. 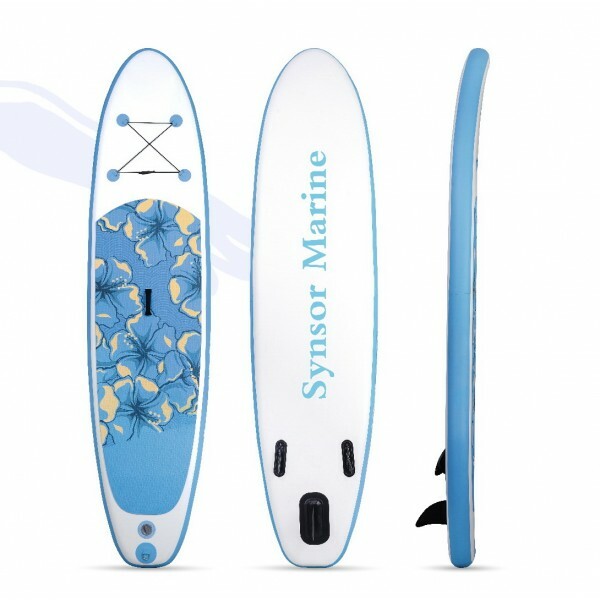 FUNSOR ISUPs are made of strong reinforced PVC material (0.9mm PVC) and 10cm (4") or 12cm (4.7") South Korea air deck that is durable and suitable for all water situation. The portable board is easy to ride and allows paddlers of all skill levels, including beginners, to enjoy a stable, comfortable ride while getting a moderate workout. FUNSOR new FWS-I300/FWS-I330 ISUP board have D-rings in the front and back for attachment of a surfboard safety leash or carry handles, and set D-ring at edges of the board as an optional kayak seat, to use as a sit-on-top surf kayak. The FWS-I300/FWS-I330 is made of strong reinforced PVC material and 10cm (4") or 12cm (4.7") air deck that is durable and suitable for river, lake or sea.